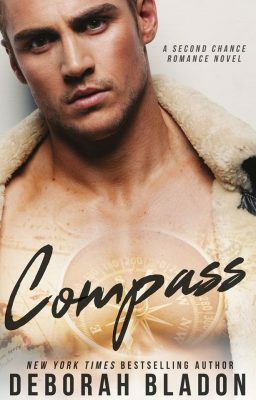 I’m excited to announce that my next release will be COMPASS. This is a second chance romance that features Kate Wesley and Gage Burke. Gage Burke was supposed to be my happily-ever-after. When he dropped to one knee on my twenty-first birthday, I saw the promise of forever in his soulful green eyes. I picked the venue, bought the perfect wedding dress, and chose my favorite flowers for the bouquet. Every detail was arranged, but just days before the ceremony, my fiancé set sail on a new adventure without me. I picked up the pieces of my shattered heart and patched it back together. I left sunny California and headed east, unaware that Gage felt the same pull to New York City that I did. When he walks into the bridal boutique I own, time stops. He tells me that I’m his true north and that fate crossed our paths again. I tell him to go to hell and to take fate with him. I can’t forget what happened between us in the past, even if Gage is determined to chart a new course toward our future together. **Please note: COMPASS will be exclusive to Amazon and will be available in the Kindle Unlimited program upon its release. Hi Jennifer – Compass releases in early March! I’ll be sharing more details very soon!